What Is The Lily Sanctuary? 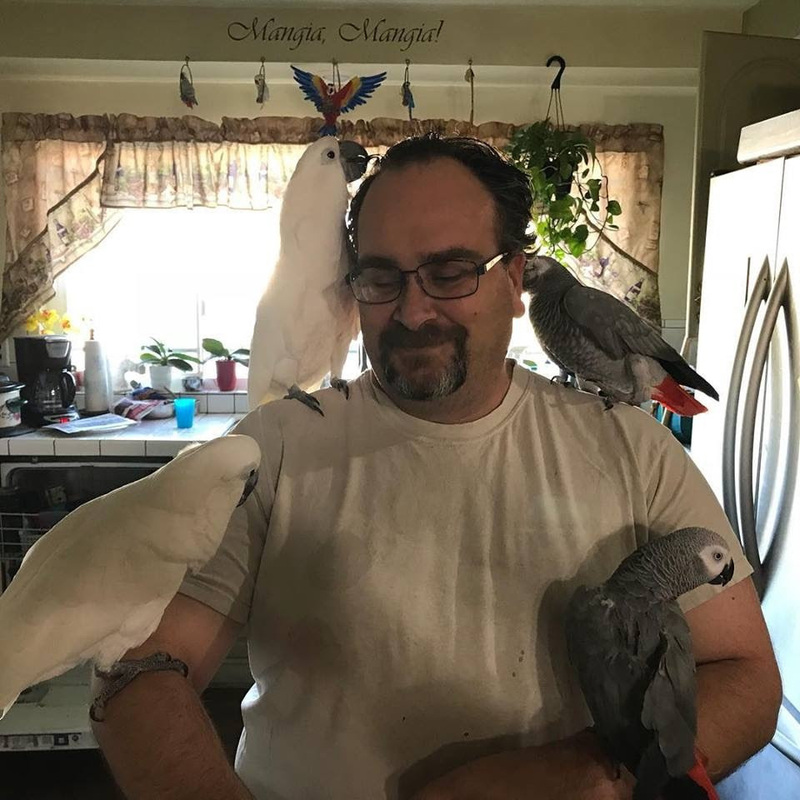 Who knew that the choice to volunteer at a parrot rescue in Orange County in 2013, almost 5 years ago would lead my husband and I on our current path? It all started when a little love bird flew in our home on the 4th of July. I devoted the next few weeks to finding his home. The days turned into weeks, and I quickly realized no one was going to claim him. So, I went out and bought a giant cage, and a bunch of toys. We named him Skittles. I know some people will say that we saved Skittles, that couldn’t be further from the truth. You see Skittles saved us! He had awakened something in our souls that we never knew was there. I guess I was going through a phase in my life of transition. I had felt the need to give back. I started coaching the soccer team for my youngest children and decided I still had time to give more. When I was a little girl, I found a crow in the street. He was wounded, so I picked him up, of course back then I had no fear of his beak or talons. All I knew is he was wounded and needed my help. I took him home, my mother worked at a veterinarian clinic as a helper. She was able to find info on what to feed him, how to care for his injury etc. I was so fascinated with this crow, I told everyone that would listen for the next 20 years that I would have a bird someday. The kids got older, and I had long forgotten about the little girl who saved a crow all those years ago. When Skittles came into our lives, it opened that door that had long been closed. 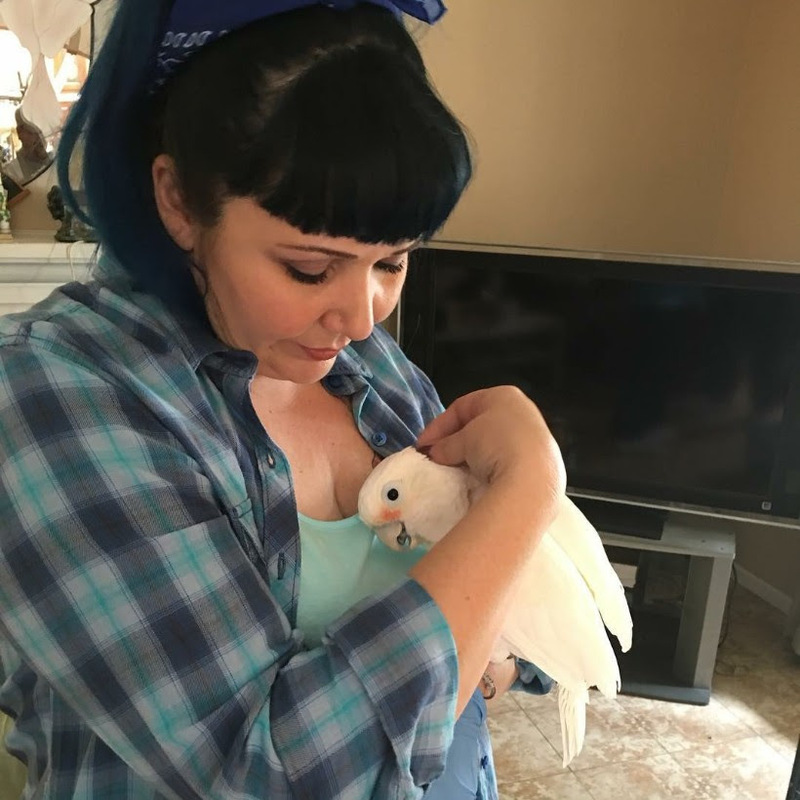 Before we knew it, I was volunteering at The Lily Sanctuary, we had adopted Greyson our handicapped African Grey, and saved our first umbrella cockatoo Cookie from neglect. My husband and Cookie bonded right away. He also bonded with Greyson. I felt left out, so I immersed myself in volunteering at Lily longing for a bond like Jason had with Cookie and Greyson. I watched my husband Jason fall in love with all things avian. Now Jason and I shared a passion, a bond, a calling. As the years went by, I fell in love with Big Sam. It wasn’t long before we brought Sam home from the Lily Sanctuary. Our flock was complete. Then our happiness was pulled from under us when I was diagnosed with ovarian cancer. Sadly, I started cutting back on my volunteer hours. I tried to stay as active as my health would allow with The Lily Sanctuary. My husband Jason started to volunteer as the Webmaster, he created a new website and maintained it since 2015.We would come down when we could, and offer what little help we could. I went through many treatments, and we did not know if I would make a recovery. We had then decided that if I made a recovery, we would take another bird. I started to feel better as time went on, the cancer was not spreading and I was on the road to remission. That is when we adopted Shou, our second TLS bird. In the last 5 years we have witnessed first-hand abused, neglected, unwanted parrots. We wanted to change this, we wanted to educate, and help current parronts learn how to keep the birds they had. Help guide the potential adopters into parrot hood. We did this through our business Talon Toys. It was here we could help people with enrichment, nutrition, and boredom. Still we longed to do more. I think my husband and I knew we wanted to start a parrot rescue and sanctuary when we drove 24 hours to pick up a cute little conure named Love. It was in that moment we realized this was what we were meant to do in this life. Between the 48 hours of driving we had to think about what we wanted to do next. We had decided to start a small rescue and we were going to call it Sam’s Place. Then the most amazing thing happened, we had been offered to take on TLS. It was like the universe was telling us this is it! I think we are so fortunate to have so many amazing people in our lives that we have met through TLS. But most importantly the work that Dan and Vennette had done for almost 30 years has inspired us. The valuable information and friendship with the Hills has really shaped us into who we are today. WE are honored to take on this responsibility, to open our home and hearts to parrots. We will honor the legacy they are leaving to us. We are filled with enormous gratitude and passion, and look forward to this journey. 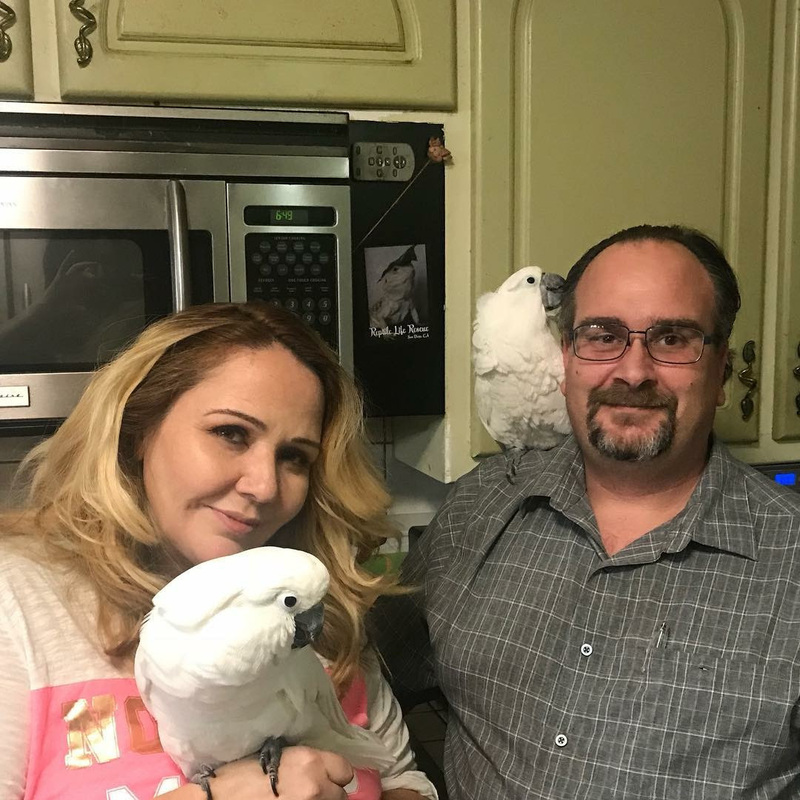 It all started in 1989 when Dan and Venette Hill, the founders of The Lily Sanctuary, purchased not one–but two–baby parrots. They visited their new babies, Lily, an umbrella cockatoo and Lucy, a blue and gold macaw daily. While still at the store, Lily was diagnosed with PBFD (psittacine beak and feather disease), considered fatal at that time. She was scheduled to be euthanized. Dan and Venette decided to take Lily home, hand feed her, spoil her, and give her the most amazing week they could. However, with the help of an extraordinary vet and his contribution of an expensive experimental protocol, Lily became the miracle girl, living 21 years! Lily became the namesake and the beginning of an extraordinary journey into the world of parrots. 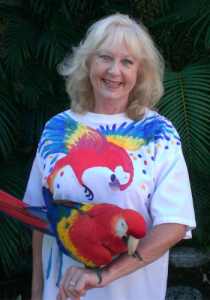 As the Hills learned more about parrots, other parrot owners who could not keep their birds gravitated to them. Over the years their home bulged with their feathered family and they outgrew their Mom and Pop roots. In 2003, The Lily Sanctuary, a 501(c)(3) a non-profit organization, was officially formed to care for special needs and homeless parrots. In over 25 years of rescuing birds, the sanctuary has saved hundreds from abuse, neglect and near death. It is important to know that WE DO NOT BUY, SELL or BREED BIRDS. Many prospective owners do not realize that parrots are high-maintenance animals with a life expectancy of decades. Buyers have long been attracted to these beautiful and majestic animals and purchase on impulse only to find that they are unprepared to fulfill their most basic needs. Highly social creatures, parrots are as emotionally complex as a chimpanzee or dolphin and as smart as a toddler. They require daily interaction and can be messy, destructive and loud. When owners can no longer care for their parrot they come to us to help rehabilitate, rehome and provide the daily care needed to live a happy healthy life. Placing a parrot with a qualified, reputable rescue/sanctuary, whose only interest is the bird’s welfare, is a humane choice. PLEASE DO NOT EVER SET YOUR BIRD FREE! That kind of freedom may be freedom for the disgruntled owner but a death sentence for the bird. Domestic parrots can rarely survive predators, starvation, and the loneliness and betrayal they will suffer. Humans took birds out of their natural habitat, it is now the responsibility of humans to be their guardians. 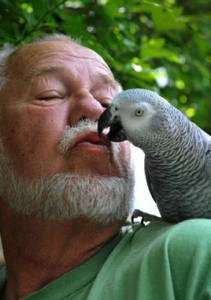 We are among the first parrot sanctuaries to provide a true in-home environment. We are not a shelter; we are truly a home with 24 hour supervision. Our parrots experience the normal activities, sounds and interactions they might find in their new home. They are provided with time in outdoor aviaries (weather permitting) to enjoy natural sunlight and room to play. This results in less stress on the birds during transfer to a new home. The flock experience helps them readjust from past issues. They learn from each other and rediscover joy, playfulness and trust.